Ausangate trek is a high altitude 70km hike in Peruvian mountains near Cusco with an average altitude over 4000m. Unlike most other hikes in the region Ausangate is not about Inca ruins, it’s all about beautiful scenery; snow peaks, glaciers, colorful mountain lakes and the Rainbow mountain. If you like beautiful nature, going off the beaten track and hiking this trek is for you. Ausangate is one of the most challenging hikes around Cusco but at the same time one of the most rewarding in sense of scenery. If you have any doubts about hiking Ausangate on your own read this article we hope it’ll help you decide whether to do an independent or guided trek. For more info on all our favorite hikes in Peru. Information on other hikes around Cusco you can find on our Choquequirao trek guide and Salkantay to Machu Picchu guide. 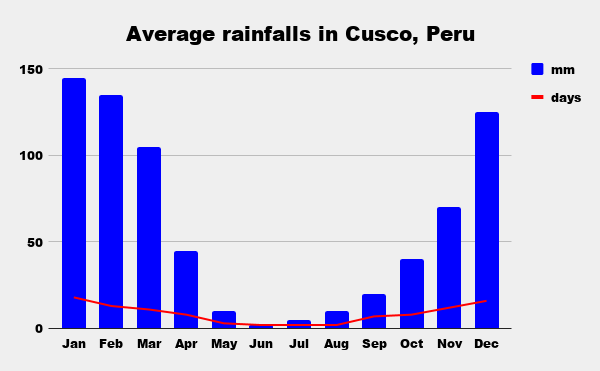 There are two main seasons in Cusco; dry season and rainy season. Dry season; May to September – almost no rain, quite cold especially at night in the mountains. April and October – chances of rain are higher though it’s warmer. Due to high altitude in winter months, from June to August, some parts of the trek might be covered in snow. Rainy season; November to March – it’s warmer and rains a lot. The period from December to February is the worst time for hiking in the region. It’s a high altitude trek good acclimatization is essential. Maybe do another hike with lower altitudes to acclimatize and to see your body reaction. Drink enough water it’s important when hike at high altitudes. There are many creeks and rivers on the route but we recommend to bring Lifestraw bottle or water purifying tablets due to huge number of alpacas walking all over the mountains you can’t know how clean is the water. Nothing can be worse than getting sick at high altitude or have running stomach. There are no lodges or established campsites with facilities you must be self sufficient. A good map or GPS navigation is highly recommended for this trek. There is very limited/no cell phone reception. Your camping gear must be reliable and suitable for low temperatures, at night it can go down below 0°C. Expect to see many people at Rainbow Mountain if you want to keep the trek more authentic you can skip it and rather visit as a day trip from Cusco. The Mountains adds one extra day to the itinerary, plus there will be many tourists, locals with decorated alpacas etc. all the normal stuff you see on the streets of Cusco or around Machu Picchu. Difficulty level – 5 out of 5; remote, high altitude, several steep ascends and descends. Scenery – 5 out of 5; we absolutely loved this trek, the scenery is amazing, one of the most beautiful hikes we’ve done; colorful lakes, snow peaks, rainbow mountains, waterfalls etc. Touristy – 2 out of 5; it’s one of the less touristy hikes around Cusco, the only part where you might see many tourists is Rainbow Mountain. Amazing views of the Ausangate in Peru. Many people arriving to Cusco by bus from Lima or the Amazon get altitude sickness. It is normal if you fly or go by bus from a low altitude to a location more than 3000m above it. Our body needs time to adjust to the decreasing amount of oxygen available due to the altitude, the higher you go the lower the air pressure and the less oxygen available to you. There are three types of altitude sickness; Mild Altitude Sickness, HAPE and HACE – the last two are lethal. The Mild Sickness is the first stage that if you don’t take precautions, can develop into one of the lethal types. Having Mild Altitude Sickness is similar to having a hangover; headache, nausea, fatigue. Many people feel it for the first couple of days in Cusco. First days in Cusco rest and sleep, don’t walk too much and definitely don’t exercise. Drink enough water. Locals in Peru and Bolivia drink a lot of “coca tea” a hot drink made with leaves – it’s considered to help acclimatization. Don’t go any higher if you skip acclimatization at lower altitude you won’t acclimatize if you go higher. When hike try to sleep at lower altitudes – “climb high, sleep low”. You can take Diamox, this medication speeds up acclimatization, consult your doctor before taking it. Hiking like any outdoor activity involves risks of getting injured, losing or breaking gear and other unplanned situations which might happen or not during the hike but it’s always better to be prepared for just in case. Ausangate trek is a high altitude hike through the wild and sparse populated areas, it’s highly recommended to have a travel insurance especially if you’re planning to do the hike on your own, without a tour. 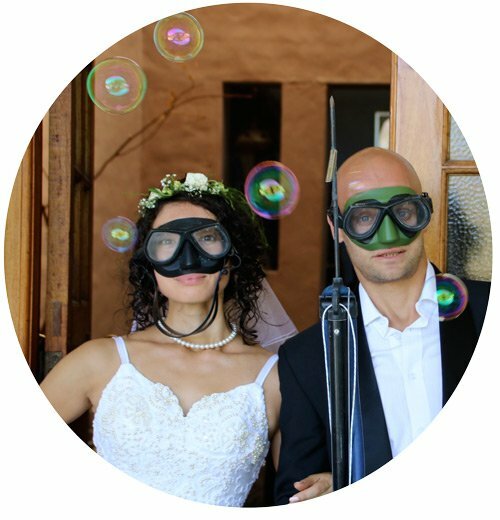 World Nomads insurance company operates all over the world, they have special insurance packages for hiking. 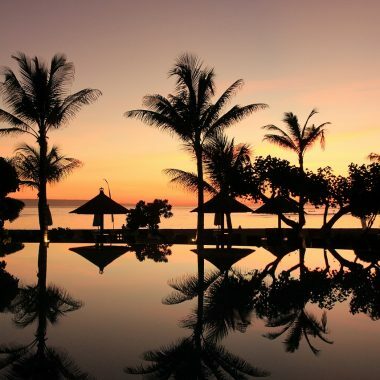 It doesn’t matter where you live or where you are at the moment, it takes less than 2 minutes to get a quote, you can buy it online even if you are already traveling. You can get an insurance policy covering only the period of Ausangate trek or the whole period of your trip. Let your insurance company worry about you while you enjoy hiking! Note! Always to read the small print and be sure you buy the correct policy. As I already mentioned above your gear must be reliable and suitable for low temperatures, rain and wind proof. Tent – a good tent that won’t leak if it rains or break in strong wind plus light and easy to pitch. We used to spend as little money on possible on our gear but we learnt from our own experience that it doesn’t help to buy a cheap stuff that will break quick or will give you a lot of trouble every time you use it. Our last camping gear upgrade was an MSR tent that we wanted to buy for a long time and finally got it, now we can’t wait to go hiking again. It’s light, easy to pitch, water and wind resistible. Sleeping bag – we prefer synthetic bags just because they dry quick and last long, down bags are awesome; warm, comfortable and very light but they become a problem if they get wet and after a year or so of active using they start losing feather. A good sleeping bag that can go to or below 0°C . Sleeping mat – in the beginning we used to carry foam mats but after a month of carrying it attached to your backpack they look terrible we decided to switch to inflatable mattresses that can be packed away in the backpack. We love our mats; they are small, light, quick to inflate, soft and durable. You’ll find complete packing list for hiking in Peru in this post ↓↓↓. 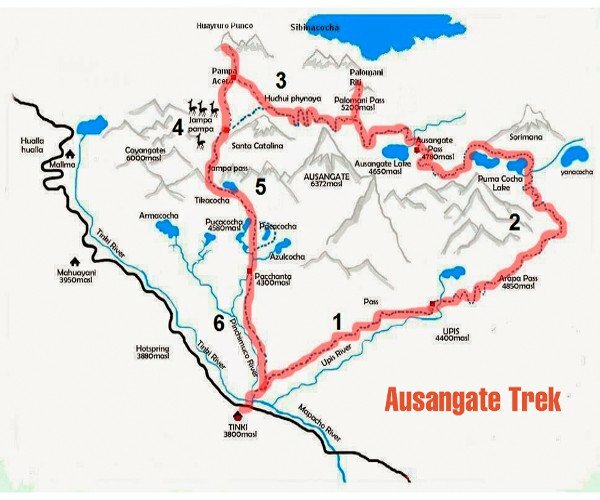 Download our complete Ausangate trek packing list. Ausangate is considered to be the toughest and one of the most remote hikes in the region if you’re a hiking newbie we’d strongly recommend to do the trek with a company and let them arrange everything and guide you through the route. If you’re an experienced hiker, have done high altitude hikes before and proper acclimatized – go on your own. Here are our pros and cons for independent and guided hike. You’re very flexible with distances and times; start and finish when you want, stop where you like etc. It’s a real adventure that you plan on your own. You have to carry all your gear and food. You can rely only on yourself there is no backup. It’s not always fun to pitch a tent and make food after a long and tough walking day. Hiking Ausangate on your own is a true adventure, we saw nobody else for a whole week, being at high altitude the trek is quite tough and since the route is not always very well marked navigation can be challenging. Many hikers are more comfortable to leave planning and logistics to an experienced company that knows the area. Runnatrip is a group of professional trekkers that can guide you to experience the beauty of this amazing trek! Check them out for an organized Ausangate Trek, all you have to do is reserve your spot! If you don’t have time to complete the route you can do a day tour from Cusco to Rainbow Mountain and hike to the top of it from where you can see Ausangate mountain. It’s less stressful, no planning or preparing involved, just find a good reliable company and they will arrange everything for you. The walk is easier you carry only your day-pack the rest is transferred by horses. If you travel alone it’s more fun to hike in a group than wander on your own in the mountains (not for everybody). Part of the money you spend goes to the local community; guides, cook, muleteer (though the small part). It’s more expensive, a lot more actually. You might be unlucky with a group or a guide and it will spoil your hike. If you do it independently it’s very cheap especially if you have your own camping gear; no paid accommodation, no big entrance fees, the only expenses; transport to get there and back (public bus) and food for the hike. 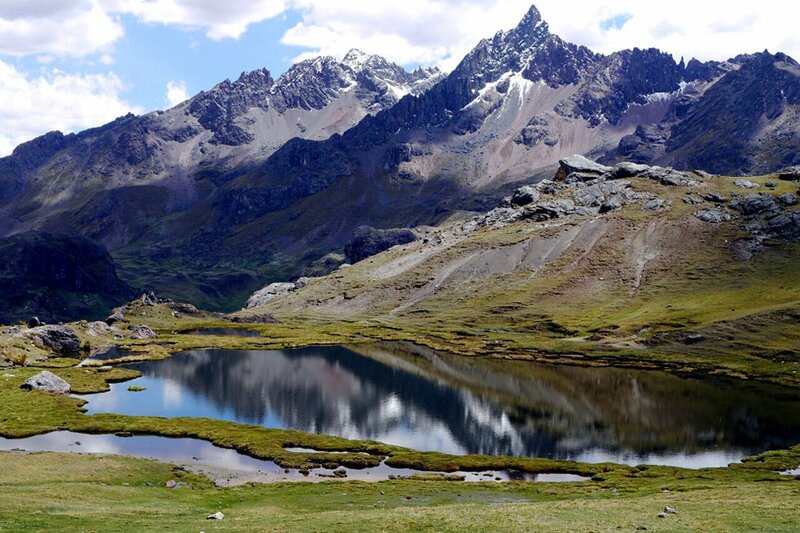 Transport (bus Cusco – Tinqui – Cusco) – 20 Sol/US$6 return. Shopping (food, gas) – 100 Sol/US$30. Entrance fee – 10 Sol/US$3 at the exit from Tinqui there is a small kiosk where you pay park entry fee, not sure what park but looked more or less official. Gear rental (optional) – depending on what you’re going to rent it will cost you between 160 Sol/US$50 to 260 Sol/US$80. If you’re planning to do several hikes in Peru or South America we’d suggest to bring your own gear if it’s only one or two hikes rather rent it there. Total: 130 Sol/US$40 + gear rental. 5-day Ausangate trek costs US$550 per person. It includes; guide, cook, horses, transport, food, tents, mattresses. Extra gear rental (sleeping bag, walking poles, shoes etc.) is not included and paid separately. How to get to Ausangate (Tinqui) from Cusco? The trek starts in a small town Tinqui (sometimes spelled Tinki), 100km from Cusco. It’s very easy to get here by public bus from Cusco. Bus leaves from Terminal Paradero Livitaca (easy to find on Google maps), which is near Coliseo Cerrado, a modern stadium. Ticket costs 10 Sol/US$3, it takes about 2,5 hours. The trek itself is quite demanding, requires good physical condition and acclimatization. In fact the whole route is above 4000m, with two passes over 5000m. So we’d recommend to do one of the easier treks first, for example Salkantay or Choquequirao. The thing we specially liked about the trek is that there were no tourists, actually no people at all, some days we met one or two local shepherds. Drinking water is not a problem once you have purification tablets or a lifestraw, there are many lakes, rivers and creeks. Just be aware of alpacas and sheep’s excrement because tablets don’t help against them. We tried to start our day as early as possible but we didn’t succeed, we caught a bus to Tinqui at 9.30, it took less than we expected to get there, we arrived at Tinqui around 12pm. We didn’t stop in the town and went straight towards the trail, paid 10 Sol/US$3 entrance fee and started walking. It was quite difficult to walk due to the altitude, about 4000m, backpacks felt heavier than usually. About 3km before Upis the weather changed it got windy and was starting to rain we found a nice spot and decided to camp there. Some ascending not very steep but at the altitude with full backpacks it was quite difficult. We started at 8.00, in 1 hour we got to Upis though this part of the route is not the nicest one a little bit walking along the road. After Upis the path finally turns away from the road, so we could enjoy the tranquility and the beauty of the mountains. On this stretch the path is quite clear and easy to follow. We reached Arapa pass (4850m) in 2 hours. From the top of the pass slight down about 30-40min. to the first lake. There is a viewpoint (Mirador) at the lake nice place to have lunch. Around the lake we saw many vicunas (similar to llamas and alpacas but wild and very shy). Puca Cocha (sometimes spelled Puqa Qocha) is the first lake on the way after that there will be many, all different colors and sizes. Next lake Japu Puqa Qocha, glacier lake, both connected through the waterfall; water from the glacier falls into the lake, then from first lake through the waterfall it falls to the next one etc. Ascend to Arapa Pass from Upis – 700m up. Descend to Puca Cocha lakes – 300m down. If you’re not planning to walk to Rainbow Mountain you can skip this day and go to Day 4. From Puca Cocha you don’t go up to the pass you keep walking along the lakes towards Ausangate lake where you can camp. The scenery this way is amazing as well. Quite a tough day of steep ascends and descends, the hike from Ananta to Rainbow Mountain is a return walk you walk to and back the same way. The good thing you can leave your tent and backpacks at the campsite and fetch them on the way back. We’d recommend to take your valuable stuff with. You want to get to the mountain early before the main tourist crowds come for a day tour from Cusco so get up early. Plus it’s going to be quite a long day keeping in mind all the up and down walking. The Rainbow mountain is spectacular even if you’ve seen it on many photos to see it in real life it’s something special. On the way back is mainly descending it’s not as tiring and doesn’t take that long. Right after the camping you start steep and long up to Palomani pass, up to 5200m the highest point of the hike. From there you can enjoy incredible views! Don’t forget from time to time to look back and check the stunning views over the valley and pink mountains. The way up is quite tough due to high altitude and a heavy backpack. So just take it easy and rest as much as you need. Sooner or later you’ll reach the top. Luckily you have a good excuse to stop on the way up a lot to enjoy the scenery. When you finally reach the top and look down to the other side of the pass at this instant you realize it was 100% worth it. The view is amazing; pink lake, colorful mountains, big glaciers. It’s difficult to decide which way to look! We had lunch at the top of the pass and started descend into the valley. The down is quite steep, you go all the way to the valley Jutumpata with pink lake and river till you reach the campsite. Steep and very long ascend from Ausangate lake to Palomani Pass – 900m up. Steep descend from Palomani Pass into the valley – 800m down. The night before was very cold so when we woke up everything was covered with snow, including our tent, it looked beautiful. We definitely needed some hot coffee to warm up! The last ascend on the trek to Qampa pass there are more colorful lakes, alpacas and chinchillas on the way. From the top you start descending to the valley past several turquoise lakes, you can refresh in one of them if you feel like it, the water is freezing! Finally after about 5 hours we arrived at Pacchanta village. There are hot springs in Pacchanta if you’re tired and don’t feel like walking anymore you can stay here, chill in the springs and the next morning continue to Tinki. As an option you can catch a local bus to Tinki, the trail follows the dirt-road all the way to the town. To get back to Cusco catch a bus from the main square in Tinqui, the journey takes 2h30m. Last set of colorful lakes on the trek, on the way to Pacchanta. Casona La Recoleta offers self-catering cozy apartments with private bathroom, fully equipped kitchen, dining area, comfortable double or single beds, cable TV, wi-fi, some apartments have fireplace and garden view. The hosts are very friendly and helpful, rated as one of the best places in Cusco according to the guests’ reviews. The location is very central, close to Plaza de Armas, restaurants, shops. Good breakfast is included. They have rooms for 2-5 persons. Tambo del Arriero Boutique hotel is for those who pays attention to the details; the interior of the hotel and the rooms are decorated in old colonial style; carved wooden furniture, wall ornament, framed mirrors etc. Rooms are specious, every room features; private bathroom, free toiletries, large bed, flat screen TV, satellite channels, wi-fi, garden view etc. Location is very central, delicious breakfast included. Tierra Viva Cusco Centro hotel is another great place to relax after the trek; an old style mansion with beautiful patio where you can enjoy buffet breakfast (included in the price), very close to Plaza de Armas and the cathedral. All rooms feature private bathroom, free toiletries, comfortable double or single bed, flat screen TV, wi-fi access, heating etc. Rooms are nicely decorated, neat and clean. For a self-guided walk one of Machu Picchu guide books will be quite helpful, e.g. The Machu Picchu Guidebook: A Self-Guided Tour by Alfredo Valencia Zigarra (paper book) or Lonely Planet Peru (paper and Kindle). If you want to travel back in history and find out more about the discovery of Machu Picchu, you’ll enjoy reading Lost City of the Incas by Hiram Bingham. Kindle and paper book. Nice and fun reading Turn Right at Machu Picchu: Rediscovering the Lost City One Step at a Time by Mark Adams trying to answer a common question; What is Machu Picchu? Kindle and paper book. If you’d like to read some local authors Death in the Andes by the most famous Peruvian writer Mario Vargas Llosa is a great choice. The novel tells some mystic events happening in the Andes, not far from Cusco when Machu Picchu was still quite of the beaten track place to come. Kindle and paper book. After being inspired by you, we’re going to loosely follow some of your tracks…knock off Choquequirao then Ausangate this July. I appreciate your work and respect how you travel. Hello, Wayne! Thank you very much for your comment! Hope you’ll enjoy hiking in Peru! Hi there, love your travel blog. I’m heading to Ausangate in 2 months time, so starting training now. What exercises do you recommend? I see you suffered from AMS whilst doing EBC, but not Ausangate…..is it because you spent 3 weeks in Cusco beforehand so was better acclimatised than EBC trek? I have done EBC but did not train enough. I focused on the stairmaster (100 stairs in 30 mins) however I believe it was not enough as the stair master was repetitive, so only worked specific muscles not all my leg muscles. I have done the W trek and trained by doing 20km hikes with 700m climb every weekend before hand, this worked well. I’ve also done the Inca trail and trained on an escarpment, 300m climb up and down, a few times per week, I believe this helped way better than 20km hikes prep and stairmaster prep. What exercise would you recommend for Ausangate? It doesn’t look like there is any stairs to climb? I will be in Bolivia for 2 weeks to acclimatise beforehand, will go up to Chacaltaya (5400m), geysers near Uyuni (4800m), Isla de Sol (4000m)……so will be acclimated. I learnt this lessen at EBC, be fully acclimised before you trek, otherwise breathing is tough! Hello, Kylie! Thank you for reading our blog! We didn’t train for Ausangate trek but we did Roraima trek in Venezuela and Salkantay and Choquequirao treks in Peru before. There are two long up and down through the passes on Ausangate trek. The most important thing is to acclimatize proper; the whole route is above 4000m with one pass over 5000m. If you’re going to spend 2 weeks in Bolivia at the mentioned altitudes you’ll be good acclimatized by the time you’re in Cusco. Maybe first day or two in Cusco walk around, go up to some ruins and view points to see how you feel. And as you already know take your time, rest, don’t rush and drink enough water. We never train for hikes but we do go running almost every day and once a week go uphill running (usually Table Mountain which is about 850m of a very steep up). If you’re a fit person and used to hike and train you’ll be all right on Ausangate. Out of all the training option I’d say training on an escarpment is the best option. You can try as well doing day hikes with a loaded backpack as it makes a big difference compare to hiking with a day pack. Hi stingys. Love your articles thanks for all your tips. We’re heading to Cusco next week, any tips on where best to buy trekking food supplies? Also we were thinking of doing this trek starting with the rainbow mountains (on a tour) and just hiking over from there and trying to camp first night at the lakes before the second pass on the first night. Does this sound feasible based on your experience? Would we miss out on much not going to Upis and the first pass? Hello, Ade! We did all our shopping at Orion supermarkets, you’ll find them in the center of Cusco using Google maps. The best part of the trek with the most beautiful scenery was from day 2 on so if you don’t start from Upis you won’t miss out a lot. I think you can do it if you’re proper acclimatized the distance is not that long but the altitude makes you quite tired, I guess the second pass you mean Palomain pass. Thanks so much for your sharing, I’m planning to go for the Ausangate trek and see the rainbow mountain in August. But I’m going alone and don’t have much camping experience, so I will need to join a tour. I read that your mention “the cheapest tour may be like 250(USD$)” , does it mean that I can find the tour for multi-days Ausangate trek when I arrive cusco, since the price that I found if I book a tour online is a lot more expensive than that! Hello, Jo Sau Yin! Thank you for your comment! It’s definitely cheaper to book a tour in Cusco on arrival than online. Ausangate is not as popular as Inca trail I think it won’t be a problem to book it just a day or two before. You can even try first to ask around in your hostel maybe there will be other travellers willing to do Ausangate with you. If you have more questions we’ll be happy to answer them! Hey thank you for this great post. I payed at the south american explores club for the map of ocongate 1:100 000 50soles wich i think is to much for the quality. So look for somewhere else. Hi, Ben! Thank you for reading! We got our map for free in one of the tour agencies in Cusco but it wasn’t great as well. Enjoy the hike! Thank you for all the information! It is lovely to read about your adventures here!! May I ask please, what tent and sleeping bag did you take with you to the trek? I just saw your gear post! thanks! Hi, Nav! Thank you for reading! To have a proper sleeping bag and a good waterproof tent is essential for this hike! Good luck! Hi, those are the best advices, they really helped me to make the 7 day/6 nights tour with a Rainbow Mountain visit. Thank you and keep going traveler! Hello Leslie, I am looking at starting this circuit trek next week; want to meet up to consider teaming up? We bought all our gear in Cusco there is a big variety of gear shops there. Our gear was cheap and quite basic; 2 men Nationl Geographic Ottawa II tent – 40$; and a fake gas stove we’ve been using both since then. The most important for a tent it should be water proof and have enough pens so you can attache it to the ground to make it more stable in case of strong wind. More detailes about the camping gear we used you can find in this article https://stingynomads.com/what-to-pack-for-hiking-in-patagonia/. Considering the model you’re asking about I’m not sure how waterproofe it is since it doesn’t have a rain cover that goes over a tent. Looks like the gas stove you have uses standart screw in gas canisters you won’t have any problem in finding them in South America. If you have more questions don’t hesitate asking! Those prices are crazy cheap!!! Like, the socks… I just bought a pair of light merino wool socks for $14 on CLEARANCE at REI. What exactly qualifies as a fake gas stove? Hi, Samantha! We didn’t buy wool socks in Cusco we bought just fake hiking socks and they were all right. To get the best prices you have to shop around a bit in Cusco we bought everything in local shops (except for the tent it was on special in a proper gear shop). We had no problem with our gas stove we’ve been using it since then after dozens of hikes it still works perfect. If you have more questions we’ll be happy to help! Hey stingies! I think we met down in Patagonia in Puerto Natales at the campsite before you guys set off for your next hitchhiking adventure. Well, it took me much longer but I’m in Cusco now and I finished the Ausangate circuit yesterday with a friend. Was great having your advise thanks for that. It’s rainy season and we were quite lucky with the wheather except for hail storm on day three and snow on day four. So we kept pushing and finished in four days to get out. Definitely one of my most amazing hikes too! Hello, Chris! It’s nice to hear from you! We’re glad you and your friend enjoyed the hike. Ausangate is still one of our favorites hikes. 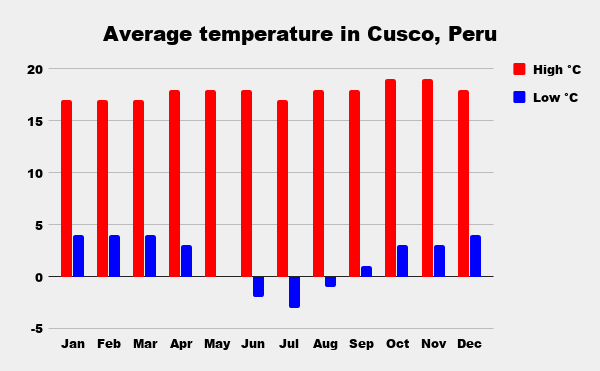 But Yes December to February is not the best season for hiking around Cusco. We hope you’ll have many more adventures in South America! And Thank you we’ll check what’s wrong with the mobile version of the site! The weather can be a problem since December-February is the rainy season in that area, especially February so not a good time for hiking. To do the hike you need at least 4 days, 2 days isn’t enough. To hike and camp without a guide is quite easy and safe. What do you mean near the top? You go around Ausangate mount, it’s a circuit, you don’t go to the top, don’t think it possible. In Tinque and Pacchanta villages you can find accommodation (hostels, guest houses). There is no forest or trees on the hike, don’t think you can get wood for the fire there. Everybody uses camping stove for cooking. If you have more questions don’t hesitate to ask! I am thinking to do this trek without a guide and alone . I feel a little afraid because like you said the way has no signs so its easy to get lost there .I would like to know ,how oftten do you meet up with local people to ask about the right path and the distance ? and if in that place there is signal to use my cell-phone in all the way. Hi, Ivonne! Thank you for your question! We met local people at least once a day sometimes more often, to ask anything was a bit difficult most people don’t really speak Spanish, they speak Quechua, just say where you want to go and they’ll point the direction. We had GPS signal on our phone everywhere, you always can check the right direction. We use Maps.me app it works offline and usually has even trekking trails, just make sure your phone has enough power, we had some problem with ours. Be ready to feel a bit lonely we didn’t see any other tourist. If you have more questions we’ll be happy to help! Great Trek. Thanks for the information. I’m thinking to do this trek solo too. Well, do you know the temperature at night? What was your sleeping bag temperature for? Thanks for your question! We did the hike in November, at night the temperature was from 0°C to -4°C. We both had down sleeping bags (you can rent or buy secondhand in Cusco) for -4°C comfort and fleece sheets, that we bought in Cusco, we never were cold. Hope we’ve answered your questions! Thank you for answer! I have a -5C comfort / -23 Extreme from Deuter, and I wouldn’t like to buy another. Well I’ll try to test first. Tell you later how it was! Good luck! We’re sure you’ll enjoy! And don’t forget to tell us about your experience! A friend and I are hiking the Ausangate Trek this June (next month). We’re open to doing so without a guide but ultimately prefer having one with a mule as an option. We are experienced backpackers but not in elevation, which is our concern. We will be in Cusco roughly 4 days before we begin this trek but it sounds like this reaches much higher altitudes. Thus, if we go without a guide and mule will Cusco acclimation be sufficient? What was your experience with the elevation? Secondly, I’ve found if we want to book a guide beforehand (online) it’s going to cost us at least $600/person. I’ve heard you can do this cheaper while in Cusco, what is your suggestion? Did you find in hostels there was much information on guides for a cheaper price ($250)? Thank you for your question! For this hike acclimatization is crucial, all 5 days you walk over 4000m, on the third day you go over 5000m pass, we spent 3 weeks in Cusco and had done two other hikes before (Salkantay and Choquequirao). 4 days should be enough though it’s very individual and doesn’t depend on your age or fitness level, to acclimatize better follow simple rules: drink a lot of water and coca tea (they serve it for free in all hostels in Cusco), don’t do any exersising, walking etc. take it easy, chill out in the hostel, don’t drink alcohol or much coffee and bring some pills for the high altitude e.g. Diamox. As to the prices it’s definitely cheaper to find a guide in Cusco, even to book a tour, we got some offers for Ausangate group tour (all inclusive) for 300$. If you want to find a guide with a mule it will be even cheaper in Tinque, the village where you start the hike, don’t know the price but I think no more than 100$ per person. If you have more questons, we’ll be happy to answer! One of the these days in Cusco will be a Machu Picchu day hike. So unfortunately this won’t be a “take it easy” day. The other 3 will be light city exploration. I already bought altitude pills and will advise my friend to do the same. That being said, I think finding a guide to carry some of our heavy stuff is the best bet to play it safe. Great article in case we don’t find that opportunity though! Great article very helpful. Planning a trip to Peru and trying to decide between this trek and the Inca trail. I am curious if you had met anyone who had done both and if they compared them at all. Also did you see the rainbow mountains on this journey? You mentioned you could rent gear in Cusco does that include a tent and sleeping bags? Sorry for all the questions, thanks for all the info! Hello Telsa, thank you for your question, we did not do the Inca trail, but I did speak to people that did and can give you my opinion and some options. -The first big difference is the Inca trail ends at Machu Picchu and Ausangate not. -The Inca Trail can only be done in a organized tour with porters, guides, cooks in a group costing about $400, Ausangate can be done independent and cost us less than $40. -Ausangate is a high altitude trek all above 4000m, you need to be well acclimatized or you can have problems, The Inca Trail is much lower. -The Inca Trail has more ruins, while Ausangate has no ruins but more impressive nature scenery. We did see the rainbow mountain in Palomani pass, but did not walk far enough to see the impressive rainbow you see on photos, you can see some colored stripes on some of our pictures. -We did the Choquequirao trek from Cusco, these much less known ruins was an amazing 5 day trek, you can see our entry on this trek. You can keep on going from Choquequirao to Machu Picchu to see all the ruins in an eight day trek. Shorter acclimatization required for Choquequirao or Salkantay, both these trails are well marked and some food and campsites are available on the way. I’m planning an the hike on the Ausangate circuit for August 2016. I was wondering what the state of the trails is; are they marked at all? Are they visible or is there considerable way-finding involved? Thank you for your question! The trail has no signs or marks, most of the time it’s quite clear just follow the main/clearest path. Everytime you see a person ask the direction (Donde esta…?) and follow the common sense, the trail basically goes around mount Ausangate, it’s a loop. Just in case take a phone with a map and GPS to know the direction (we use the Maps.me app). Sometimes we felt quite lost but always found the right way.